Email marketing is one of the cornerstones of digital communication for any company and an indispensable tool for achieving the targets set out in your online email marketing campaigns. There are companies that still centre their actions on traditional marketing campaigns and ignore the numerous benefits that email marketing can bring them not only in terms of capturing leads but also customer loyalty and user knowledge. Email marketing is an immediate tool that allows companies to target specific customers that they want and send them personalized offers. The overall investment required is low so that means even companies with limited budgets can still take advantage of this kind of communication with their customers. The results can be measured very quickly, as apposed to traditional marketing campaigns. That is because email marketing affords you a number of tools that allows you to measure the impact of the message so that you can find out the strengths and weaknesses of your strategy. Therefore it’s much easier to keep track of your email marketing goals. Email marketing also allows you to create different messages with A/B Testing tools so that you can design several messages to send to your clients and find out which one of them will be more successful among your clients. Email marketing is the ideal tool for introducing a new product, service, brand or even the company itself. The message sent by the company ends up in the inbox of the client and from here, with just a click, it has the possibility of being forwarded to other people and thus extending the reach campaign in an unimaginable way. To make sure the recipient opens your message, you have to get their attention by designing a good subject because only through a creative subject you will be able to supply the right information in order to help them make the decision to open it. Email marketing campaigns are designed to help your brand reach more people and being an immediate tool, your messages can reach anywhere in the world instantly. In the same way, the company can also achieve more notoriety among its customers through email marketing. For example, sending a newsletter from time to time, can improve visibility by keeping clients up to date with the latest trends and news about the brand. 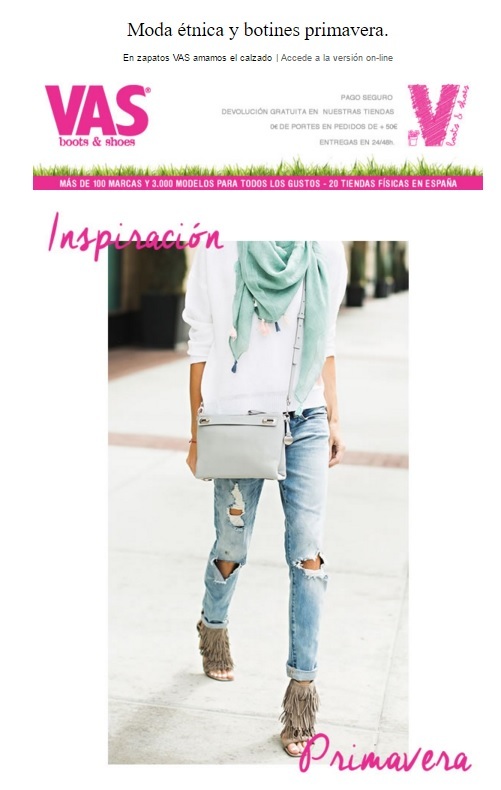 Take a look at this newsletter from VAS as an example. Email marketing also encourages users to take action immediately through the call to action button. For example, using phrases such as “Last day today” can generate a sense of urgency in the user to open the message and take a look or even buy the promotion or offer advertised. One of the main goals that companies tend to have is to keep their customers loyal and email marketing is an ideal for achieving this sought after and desired goal. Sending regular messages to your customers is a way of keeping in touch with them so they don’t forget you. 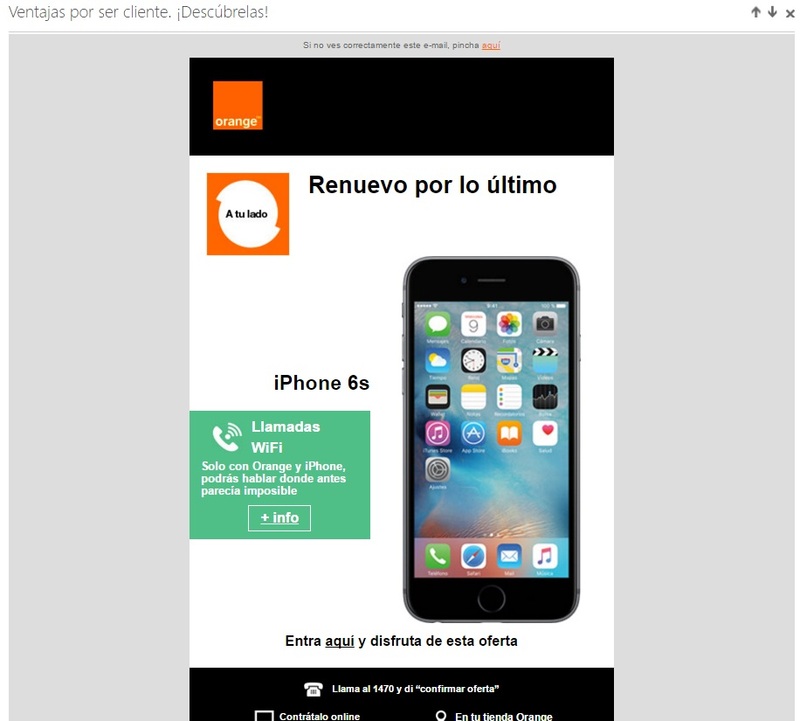 For example, in this newsletter we can see how Orange focused on the subject and title “Advantages of being a customer” This way, they promote loyalty as the client can see that the company only gives promotions and special offers to those people who are already customers. Building loyal customers is an important email-marketing objective that you can achieve more easily if you pay attention to, and look after this channel. Another email marketing objective par excellence is capturing new customers and email marketing is the ideal tool for the job. In fact, an email marketing campaign lets you reach all over the world without having to move to where your target audience is. In addition, if for example, a company creates a promotion where the participants can invite other people, those clients will in turn help to spread the offer and make the brand known to other users that it normally wouldn’t have reached. In doing this, the company will be opening itself up to new horizons. 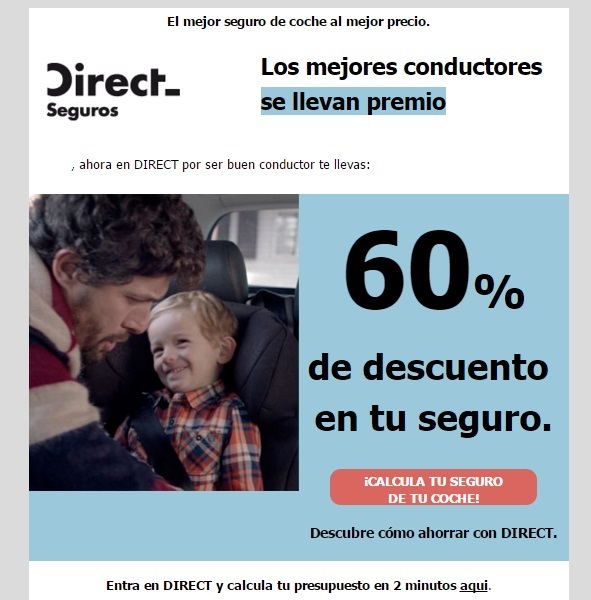 In this newsletter for Direct Seguros you can see how the company is trying to capture new clients by offering a 60% discount if they take out a policy with them. It’s a great way of getting not only their attention but also possible sales. Email Marketing is perfect for establishing different ways of interacting with customers. Often a company may have clients from all over the world and that obviously makes it difficult for them to physically visit the store, but don’t worry email marketing breaks down these barriers. This mode of communication allows the company to communicate with its entire audience and receive instant responses. It is also another way of gaining notoriety on social networks because if you include the company’s links to these platforms the subscribers are encouraged to communicate with the brand through them as well. 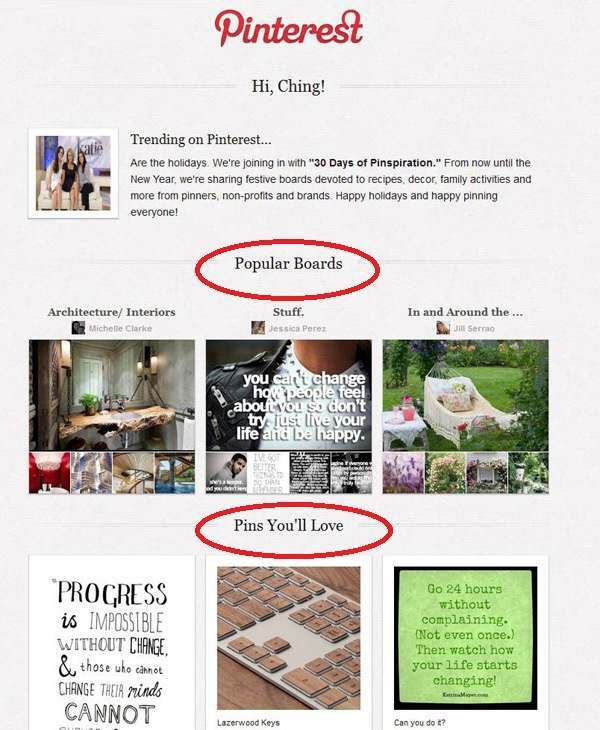 The example shows how Pinterest connects you with other users in such a way that it encourages you to spend more time on the social network. These kinds of email marketing goals are used in an intelligently by the main social networks to increase the interaction of users with the various platforms as well as each other. Increasing a company’s sales is another of the main aims of regular email marketing. Through emails brands can deliver their messages directly to those people who are interested in receiving the latest deals and promotions on offer at that moment. To do this, it is important that the database is segmented correctly and allows you to know exactly what stage of conversion the customer is at. This is why email marketing generally generates good results and increases sales, because the people who receive the messages are already interested in what the brand has to offer. You can see from the example above how Atlas Stoked’s newsletter shows off the products they have on offer in their store right now to try and increase sales. Getting to know the customer is another extremely important factor for businesses and email marketing allows them to get detailed information about their users easily: by requesting this information directly. Email marketing provides companies with valuable information such as, what products or services have worked the best or what have the customers liked the most or least. Knowing this, the brand can improve their strategies for subsequent campaigns and therefore better understand their target audience. 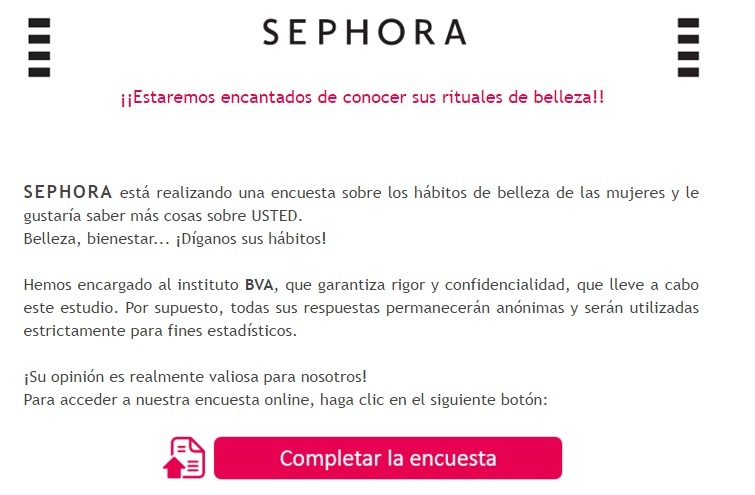 As you can see in the example above of a survey that is aimed at Sephora clients in an attempt to better understand their wants and needs. The main elements of an email marketing campaign. To begin with, you should always have a segmented database. That is, you have to be clear on whom your target audience is and have a list of up to date contacts. This way, you campaign will have a much better chance of success. Try personalising the email. Play around with different designs, colours, images and videos. Anything goes. Try to be original and creative so that you grab the customer’s attention. Similarly, don’t forget to personalize the call to action that you are going to include with a different design to make it really stand out. Never forget the importance of the email subject. In fact, the subject will be the first thing the customer is going to see of your message so make sure that it is brief, to the point, and powerful enough to grab their attention so that they open the email. The landing page must be coordinated and work hand in hand with the general campaign as it is the place where the clients will ultimately end up. Therefore, make sure that the landing page is coherent, well designed and looks visually appealing. 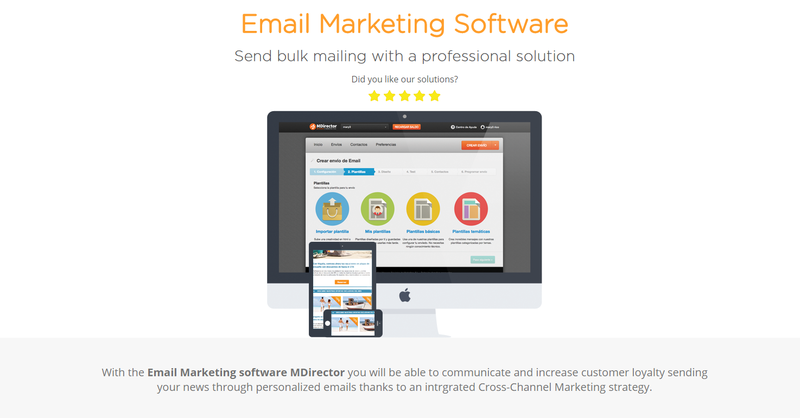 If you are still having difficulty managing your email marketing then why not try MDirector’s email marketing software. It’s the perfect tool, for getting your company’s email-marketing in shape and achieving the best results. Analytical and up to date reports that are easy to interpret and understand. 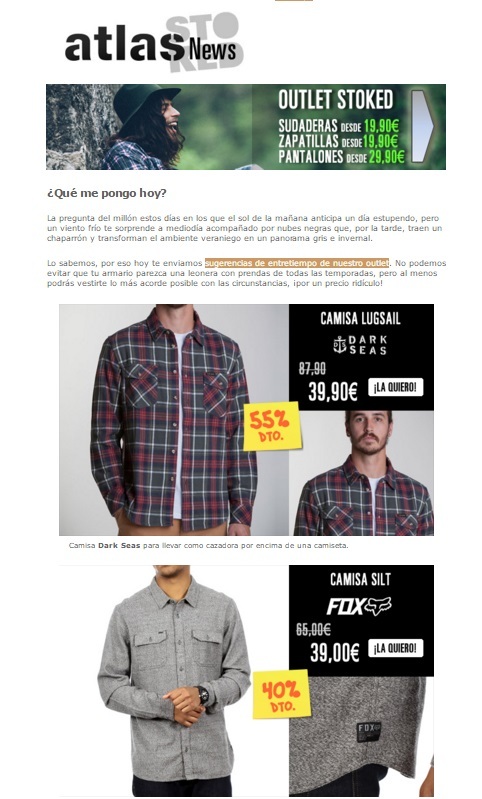 Email marketing and newsletter templates with spectacular designs. Ensure that your emails are going to be delivered. Synchronise your CRM through API for email marketing mailings. Try MDirector today and meet all of your email marketing goals.